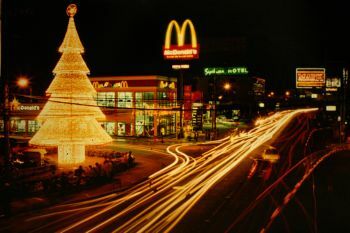 Davao City is one of the biggest and most populated cities of Metro Davao. is one of the country's largest cities and one of the cities of Metro Davao . It is located in the southernmost part of the archipelago. It is also the place of my birth. This is where I grew up, went to school, and lived most of my grown up life. Our international airport and seaport is considered as one of the busiest cargo route in the southern Philippines. The city has emerged as the business, investment and tourism hub for the entire southern Philippines due to its fine beaches and mountain resorts. It also boasts one of the most captivating dive spots and has one of the most highest peaks which is Mount Apo, also being shared by two other cities. It is also among one of the Philippines' best family vacation spots. Kadayawan Festival , the bountiful harvest festival, which is celebrated on the month of August garners tourists both local and foreign alike. 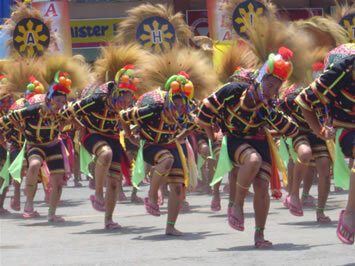 The Araw ng Dabaw Festival is celebrated during the month of March, around mid of the month. It is the celebration of the creation of the city. The highlights of the celebration are the different parades(Paradas) and the coronation of the Mutya ng Dabaw. To learn more about Davao City, please click here. Hi fellow Dabawenyos, I know that we have just recently celebrated the Kadayawan Festival and was hoping if some of you guys give me some comment on this, and maybe share your pictures so we, dabawenyos outside the country, can see how this year was celebrated. Thank you for sharing.